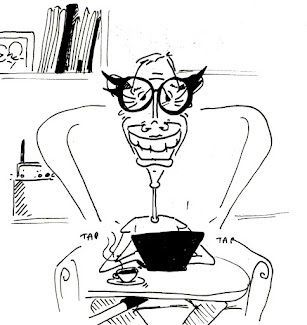 The Creeping Boobialla sounds like some kind of stalking pervert, or maybe a scatty bird of some kind. In fact it's a local Aborginal name now applied to most species in the plant genus Myoporum. This is one of them. According to Anthropologist Philip Clarke, boobialla was originally use by Tasmanian Aboriginal people for the Coastal Wattle (Acacia longiflolia subspecies sophorae), whose roasted seed they ate. Originally it was pronounced more like 'bubiala'. Europeans started to apply the name to another genus of plant with mostly edible fruits, Myoporum, which they - with typical metaphoric and wildly inaccurate longing - also called the Native Juniper. Some of the Myoporum species, such as Myoporum insulare, are not unlike the Coast Wattle in leaf. Scientists prefer to call the plant I've illustrated here Myoporum parvifolium. The species name means small leaves, which it has, both relative to other boobiallas and also in the plant kingdom more generally. 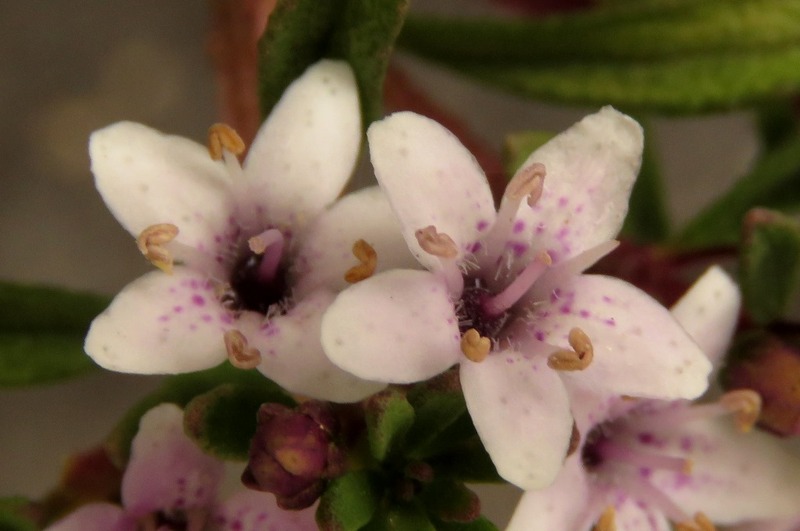 The genus name (Myoporum) means closed pores and is a reference to these warty oil glands on the leaf surface. Oil glands seem to be a mechanism for plants to excrete a waste product, possibly with subsidiary benefits such as attracting pollinators or fending off pests. The crushed leaves of the Creeping Boobialla smell mildly unpleasant, but only a little (unpleasant and smelly). Oils, when retained in the plant, can make leaves more flammable, which is sometimes a good thing (from the plant's perspective). The Creeping Boobialla is actually recommended as a plant for fire-prone areas due to its fleshy (succulent) leaves - I tried and couldn't set alight the leaves. So I don't really know what the glands are for, or why or how the oil is produced, only that there doesn't seem to be much oil retained by the leaf and it would seem unlikely to have much value attracting or dissuading insects. 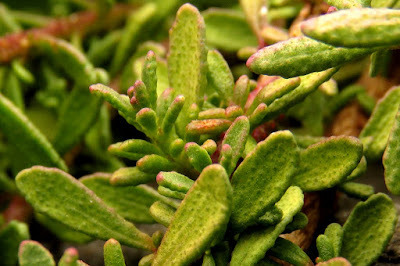 Although...all parts of the plant are apparently poisonous to humans. 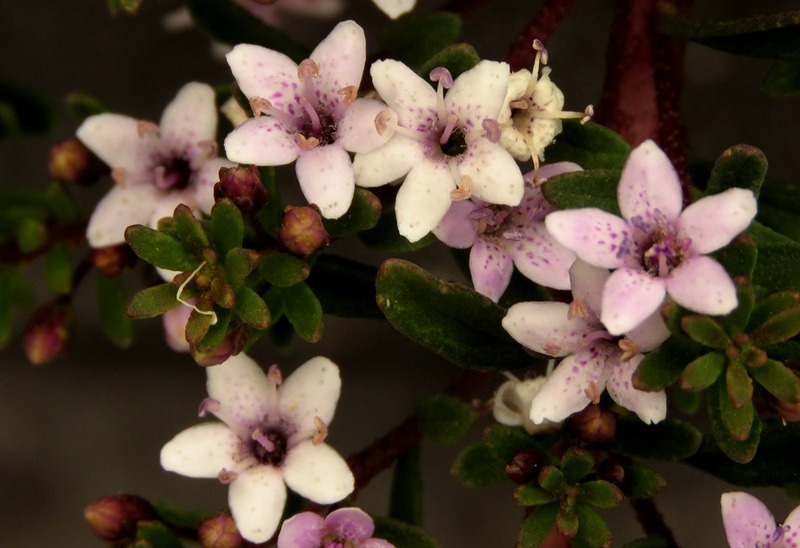 There are 30 species of Myoporum, just over half (16) growing naturally in Australia, the rest in Pacific Islands and eastern Asia. 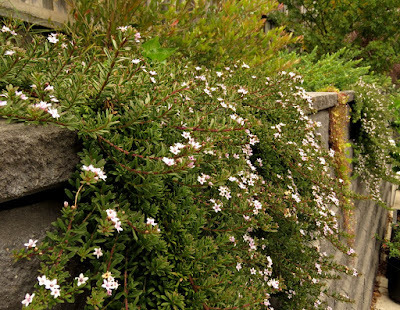 Myoporum is closely related to, and sometimes classified in the same family as the emu bush, Eremophila, even though the flowers are more symmetrical in Myoporum. 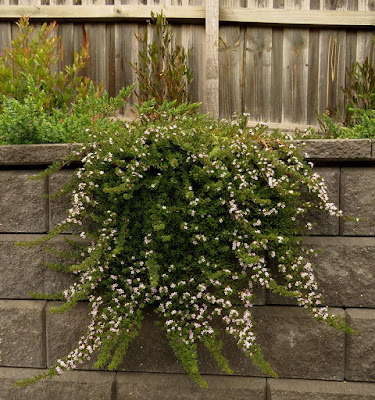 The Creeping Boobialla is particularly hardy species, so much so that it is one of the most commonly used root stocks for grafting emu bush. Our two bushes at home (photographed here in December) have, as you can see, flowers white (albeit with a pink tinge) with purple specks to guide the pollinating insects towards the centre of the flower. There is also a (fully) pink-flowered form in cultivation but that colouration, I presume, has more to do with attracting gardeners, who can touch but not eat. Myoporum parvifolium was the very first plant i learned to propagate when working at David Thomson Rare Plants in Piccadilly in the 1970s. I remember it very fondly. It must have been a novelty back then India. It's one of those plants these days that blends into the background a bit, but worth a second look. Great story! I've shared on Twitter and Facebook. Myoporum parvifolium, poisonous? I suppose I'd better stop tasting the drupes then! They taste a little like banana, but there's not enough flesh for it to really be worth trying anyway. 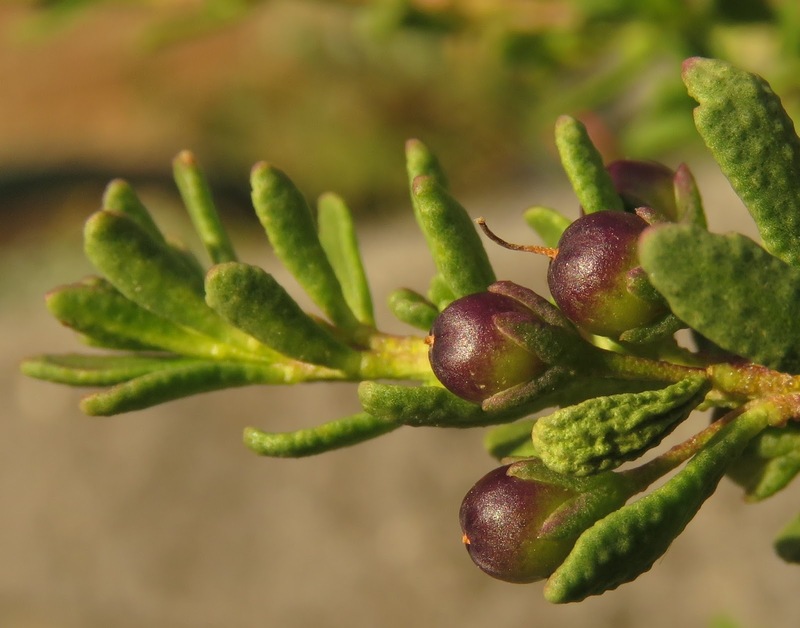 When I was growing up in Tasmania, Acacia sophorae was introduced to me as boobialla by an older friend. Later this caused some confusion, and I thought maybe I had gotten confused as to which plant he was introducing me to. Now thanks to your disambiguation I think he was pointing to the Acacia! Glad to have cleared that up. I've heard that the common form only lives for about a year but that this lives longer. Do you know how long it lives?